In the recent times, we get to hear a lot about many Children saving accounts. These Children Saving accounts are very much similar to the normal saving accounts in bank, but are meant exclusively for the Children and can be fully operated by a kid. There will be a minimum and a maximum age limit to open these children accounts and also few additional facilities will be available for these accounts. We will list these facilities later. The biggest benefit is saving for the kid. Even a small amount of money when saved in bank for years will earn a good amount of interest - which can be helpful for your child's education or other needs in the future. When the kid operates the basic transactions in these accounts, they get to learn more about money and investments in the young age itself. As mentioned earlier, the account holder for these children saving accounts should be below some fixed age limit - mostly 18 in many banks. Check what happens to these accounts after your child reaches that age limit. 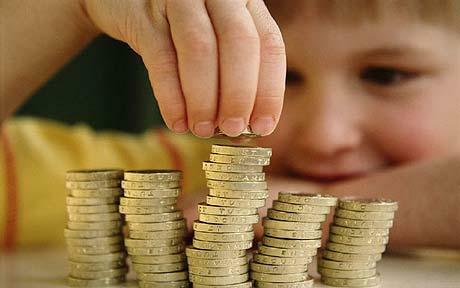 Check what is the maximum transaction limits for children saving accounts. Normally they will be lesser than the normal savings accounts. These accounts have a fixed Average Quarterly Balance - if the amount in the saving account goes below this AQB that will lead to penalties. Few banks provide free insurance to certain amount in case of any uncertain events to parents. Few banks offer facilities to transfer the exceeding amount to Fixed Deposits which can earn more rate of interests. Though it is good for children to know about money and investments in the young age itself, parents should also have an eye on the transactions happening in the kids accounts. Since these accounts can be operated by the kid themselves, it is always advisable to have SMS alert enabled.